How to book a DIY Safari without blowing your retirement savings! We traveled for $69 per person per day! Yes, this included everything- flights, car rental, hotels, food and excursions! We stayed in beautiful lodging, saw the Big 5, dined at incredible restaurants overlooking the ocean and the mountains, tasted South African wine in the vineyards and enjoyed Cape Town to the fullest! Planning South Africa initially seemed to be a daunting task. We were tired of reading how exorbitantly expensive it is to go on a Safari. Natalie was having a tough time with booking a Safari Package through the private game reserve operators as the all-inclusive options were well out of our budget. 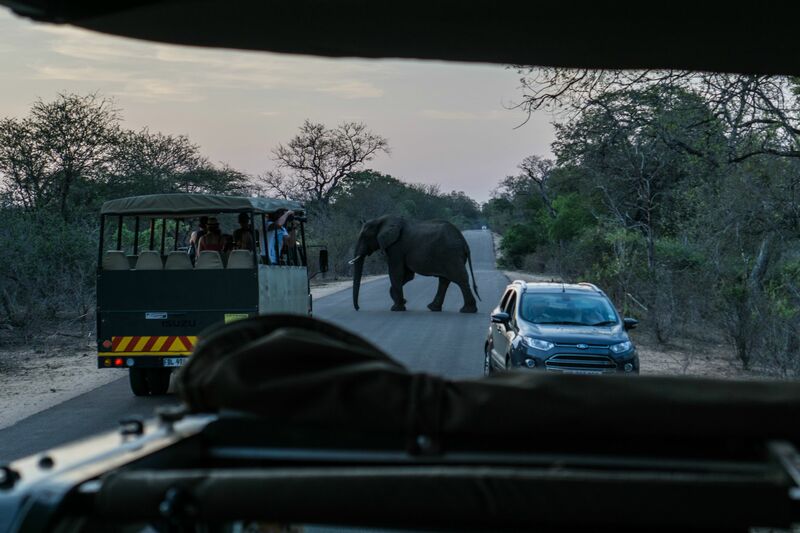 Elephant crossing in Kruger National Park. Luckily, after speaking to South African travelers during our trip and some internet research, we were able to find out how the locals do it without breaking the bank! 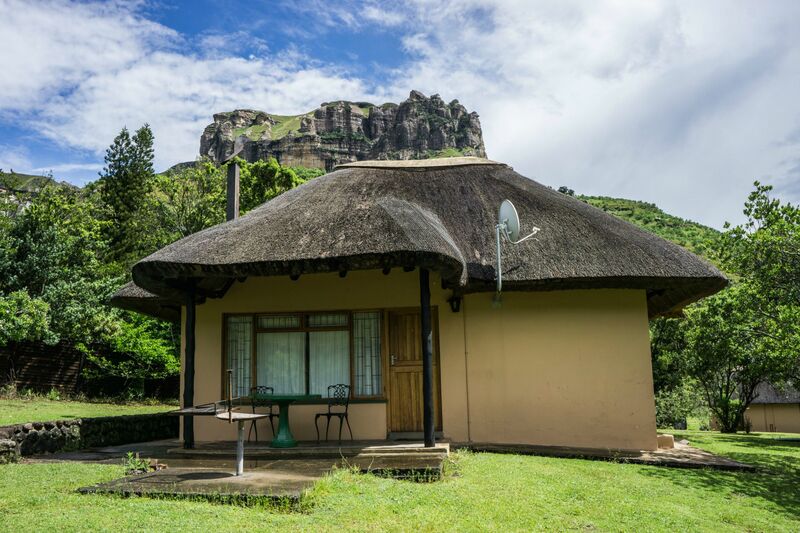 We looked into the National Park lodging via the South Africa National (SAN) Parks website. After registering with SAN Park and buying our Wild Card (National Park Pass), we were one step closer and heading in the right direction. South Africa has an amazing national park system with lodging options from budget to luxury and everything in between. We stayed in self-catering accommodations in beautifully picturesque settings for $42-96 (USD) per night. They all had air conditioning/electricity and most included kitchens and ensuite bathrooms. This pricetag was much lower than the $500-1000 per night Safari Packages we had seen online in the United States! Our SAN hut at Thendele Lodge was incredible for being in a national park. Booking an “open-jaw” ticket into Johannesburg and out of Cape Town allowed us to rent a car to road trip across the country over 3 weeks. (If you are planning a trip and have a limited time frame, you may be able to save time by flying into our out of Port Elizabeth or George along the Garden Route then heading west to Cape Town). We rented a small economy car that allowed us to travel on all of the paved roads in Kruger and throughout the country without difficulty. The roads are easy to drive on and our data connection allowed us to use Google Maps for navigation in most areas, although reception was a bit spotty in the rural areas in the east. 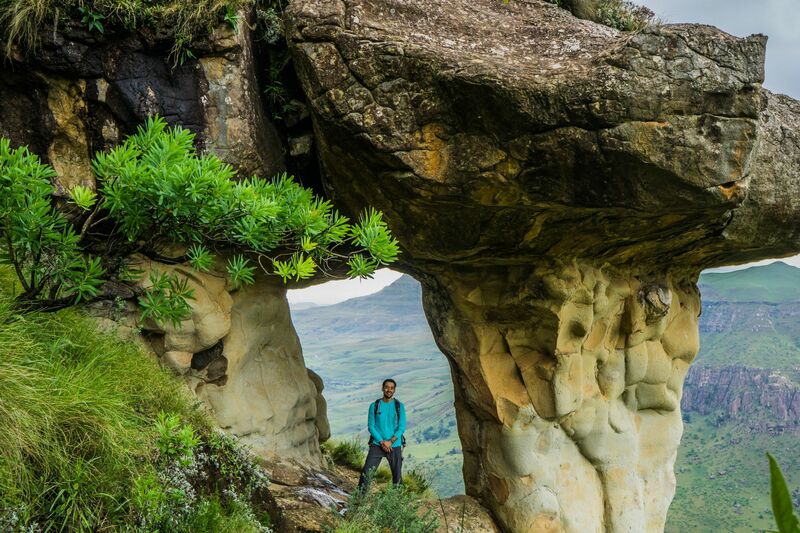 The Drakensberg Mountains are ridiculously picturesque and unique. We saved the most money by using American Airline and Marriott rewards miles and points during the trip. We flew from Berlin to Johannesburg on British Airways, by utilizing our American Airlines miles with Star Alliance and we were able to fly for 35K miles per person plus taxes. Our flight to South Africa was $230 per person after accounting for the additional taxes and booking fees. By redeeming our Marriott credit card signup bonus points, we were able to stay for free for 12 nights at the very nice Protea Hotel chain, recently acquired by Marriott. We used 100K points for 12 nights which averaged 8.3K Marriott points per night! This is truly a steal if you know what Marriott point redemptions usually go for. 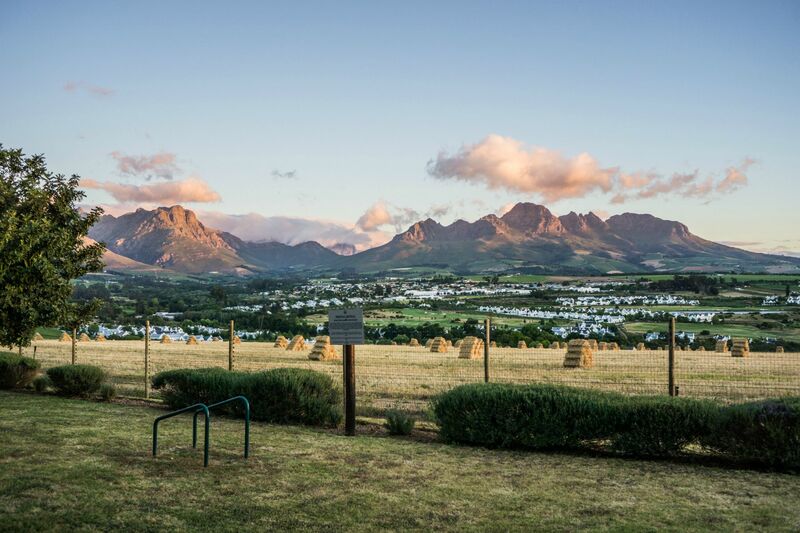 Great view of Stellenbosch from our FREE Protea Marriott hotel. The US Dollar is doing very well and you will get an amazing exchange rate with the South African Rand. This makes dining very affordable! The food in South Africa is incredible, so fresh and delicious everywhere you eat. Additionally, the wine is some of the best and most affordable in the world. We ate very well in South Africa and didn’t have to worry about blowing our budget on food and drink at any point during the trip. Additionally, by staying in self-catering lodges while in the National Parks, a fair amount of our food was from the supermarket. I remember filling an entire cart for 5 days of groceries at a Super Spar supermarket and it only costing $50 (that’s only $5 per day per person)!